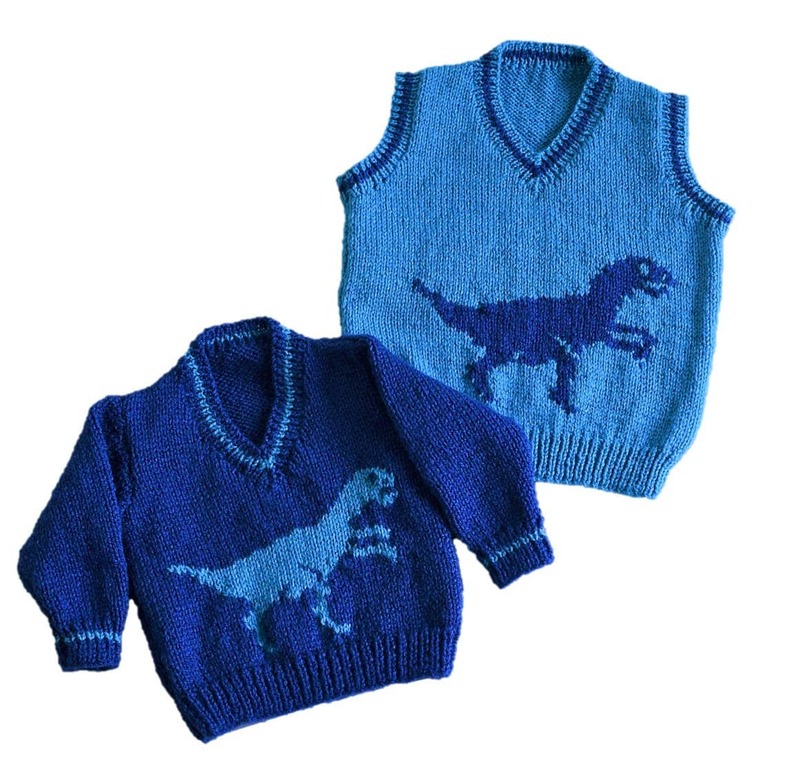 Knitting Pattern for V-Neck Dinosaur Tops. 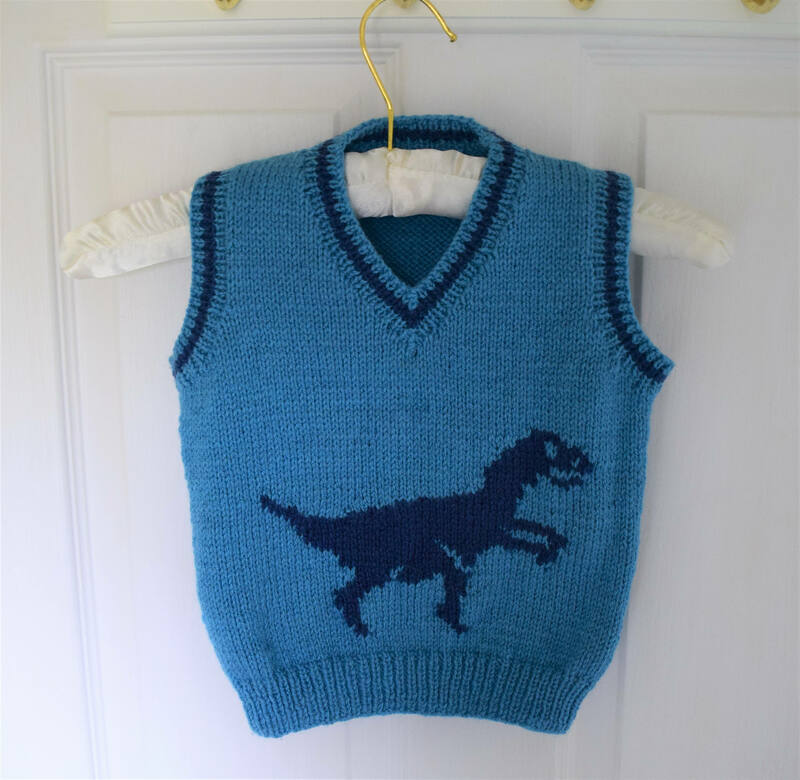 The knitting pattern has instructions for a Sweater and a sleeveless Tank Top featuring a Dinosaur (Velociraptor) on the front. 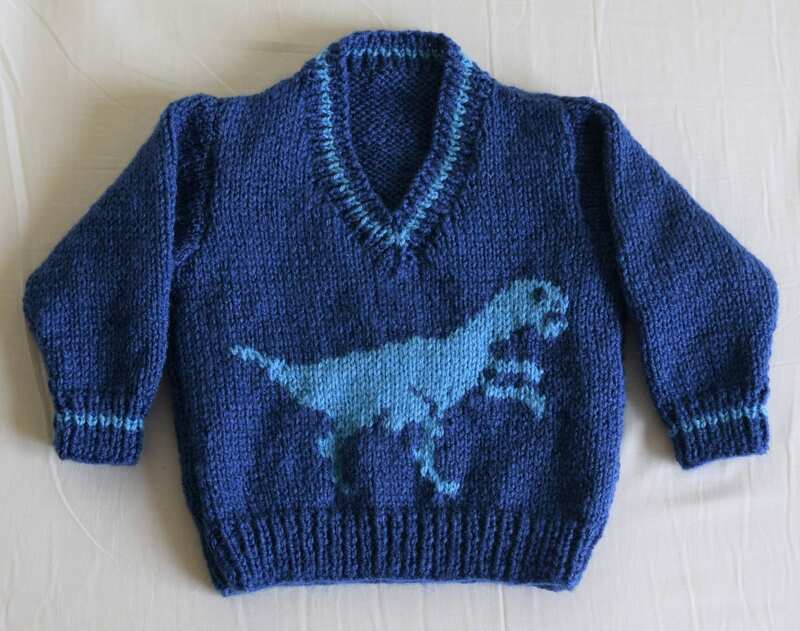 Age Range: 6-12 months, 1-2 years, 2-3 years, 4-5 years and 6-7 years. Yarn: Any Double Knitting yarn can be used so long as it gives the same tension as below. 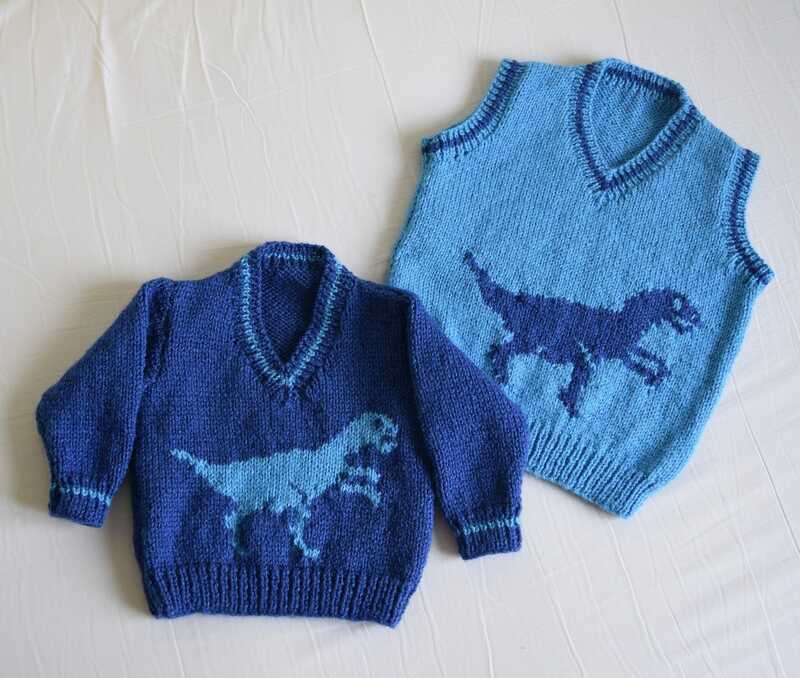 The garments as shown were knitted in Sirdar Snuggly DK - Scuba Blue (467) and Soldier Blue (412). 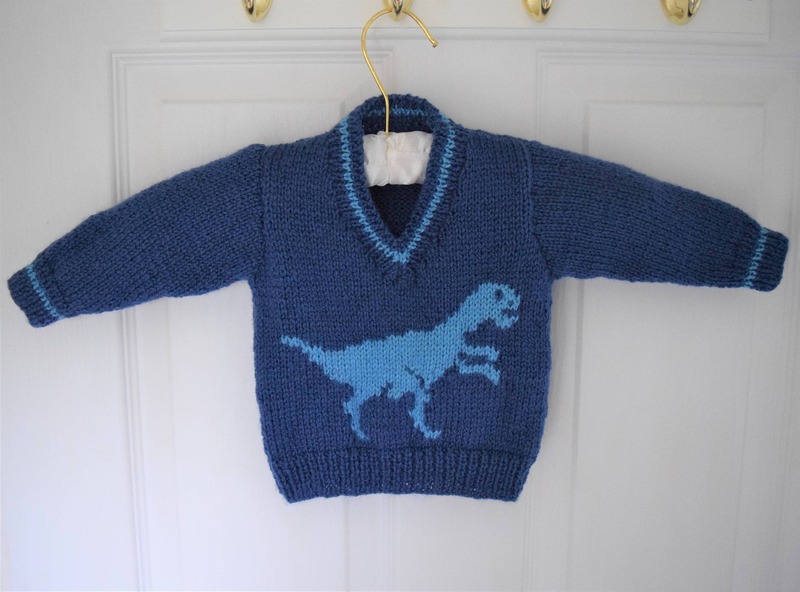 Looking forward to knitting both jumpers for my grandson who loves dinosaurs. Off to buy the wool today.